At Valeria Fine Jewelry, we specialize in custom hip hop pendants and can create them for much less than most custom jewelers. This pendant is the company logo for a customer of ours. He wanted blue and yellow diamonds to be the land and sea of a globe, which you can see if you look far afar. Do you have an idea for a custom or “iced out” pendant? Contact me so we can make it happen. I can create custom hip hop pendants in single pieces up to 3 inches wide or tall in Sterling or Argentium Silver, white, yellow, or rose Gold, Palladium or Platinum. If you wanted something larger, it would have to be cast in 2 pieces and then soldered together. We can use a wide variety of stones to meet any budget as well. Click HERE to see another of our custom hip hop pendants. Click HERE to learn more about custom jewelry, to see our portfolio, or to contact us about custom hip hop pendants. 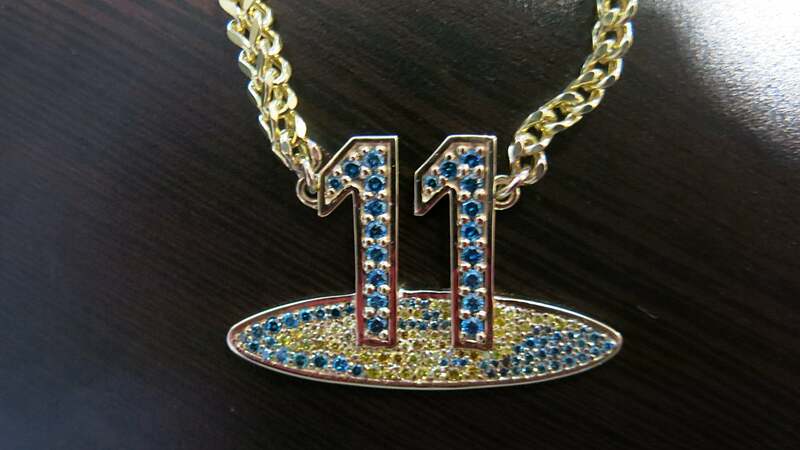 It can cost less than you think to have your very own custom hip hop necklace made just for you. Why hassle with the retail stores for boring and custom hip hop pendants?